Small Underwater Light Show & Fountain. FREE SHIPPING! This amazing little water feature does it all! It floats, spins & sprays colors above and below the water. 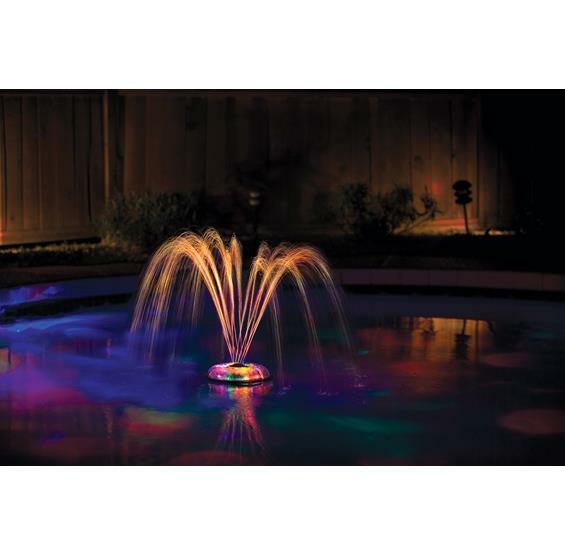 The Small Light & Fountain show is battery operated so there are no hose hookups to restrict movement, and the beautiful dancing water show will float freely around your pool. Features 1-hour auto shut-off. No installation needed, requires four D batteries (not included). 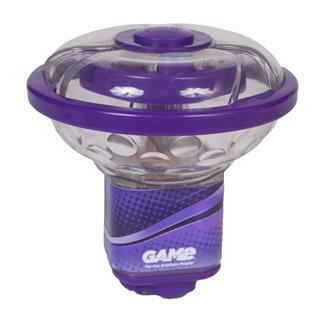 Put this little unit to work in your pool and start enjoying the twirling, dancing water & light show! Measures 7" in diameter x 7" high.